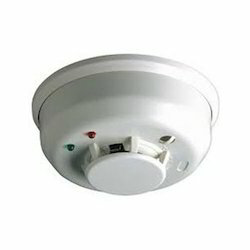 To meet the various requirements of the customers, we are involved in offering a wide assortment of Heat Detector Fire Alarm. Technical Specifications Power Failure, Alarm Reset Function. - Elegant Simple Appearance Design. 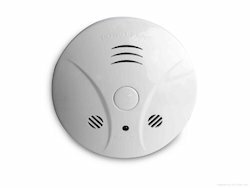 - Dust Proof, Effective Prevent False Alarm. Keeping the diverse requirements of the customers in mind, our company is instrumental in presenting Heat Detector Fire Alarm. Pro Delta Fire Safety Systems Pvt. Ltd. The detector is designed to be connected to a twowire loop circuit, carrying both data and a 17V DC to28V DC supply. The detector is connected to the incoming andoutgoing supply via terminals L1 and L2, in themounting base. We have gained a remarkable position in the market that is involved in offering Heat Detector. Our company is the foremost in offering Heat Detector. Addressable Heat Detector; includes B350LP base.